Retired Toledo Police Department. 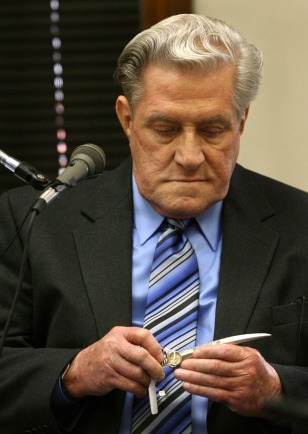 Lt. William Kina examines a letter opener on Monday during the murder trial of the Rev. Gerald Robinson.